Eagle trophies, gifts, medals and plaques are awards of achievement and patriotism. Eagle awards make a wonderful American gift or award. Whether you need an economy trophy or a more elaborate award, you are sure to find the perfect eagle trophy here. FREE Shipping on orders over $100. FREE Engraving. The Winged Eagle Award has a round Column with flaming golden wings. This eagle trophy is a more elaborate choice that is still economically priced. All custom built eagle trophies come with a laser engraved brushed gold plate. You will find a wide selection of eagle awards. The Winged Royal Eagle Trophy has a figure standing on a crown on top of a round column with flaming golden wings. This eagle award is an elaborate choice that is reasonalbly priced. All custom built eagle trophies come with a laser engraved brushed gold plate. You will find a wide selection of eagle awards. The Wreath Eagle Award is an inexpensive eagle trophy that children have enjoyed for many years. These eagle trophies are a great choice for any budget. 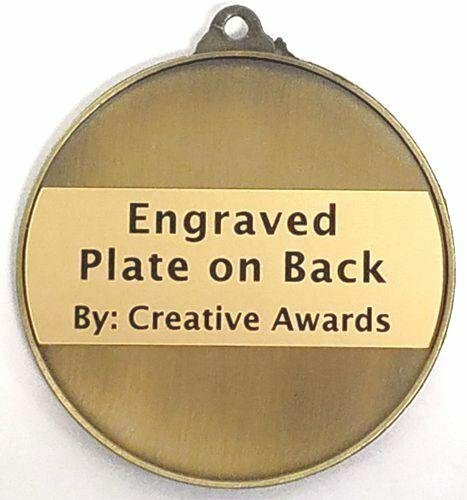 Eagle awards come with a laser engraved brushed gold plate. 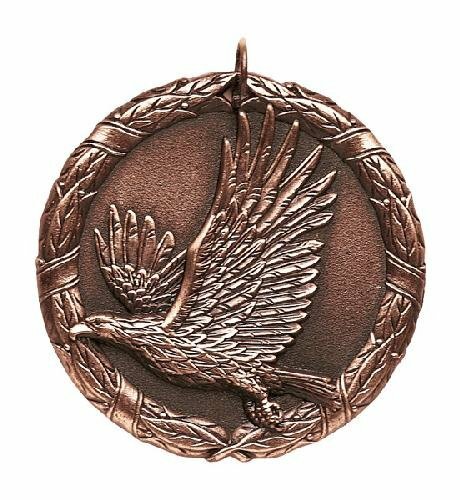 This Wreath Eagle Trophy is an inexpensive eagle award that is even more sturdy than the classic eagle trophies. These eagle awards are a great choice. 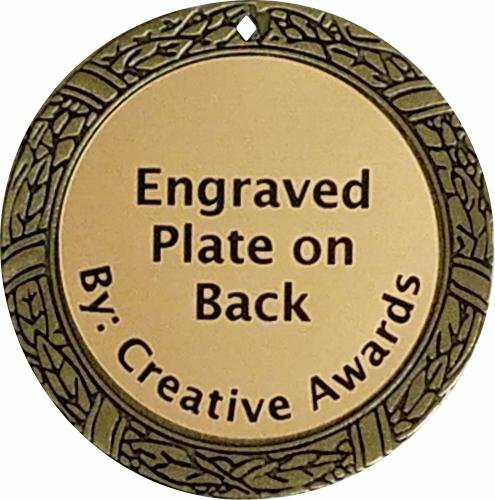 Each eagle award comes with a laser engraved brushed gold plate. 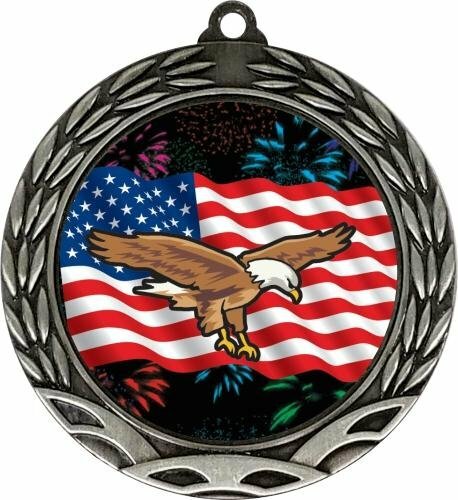 The Colorful Eagle Insert Medal has a unique mylar set in a wreath insert medal. These Eagle Insert medals are available in an antique gold, silver and bronze finish. The Academic Excellence medallions look great with your choice of a either a 7/8 inch or 1.5 inch wide neck ribbon. 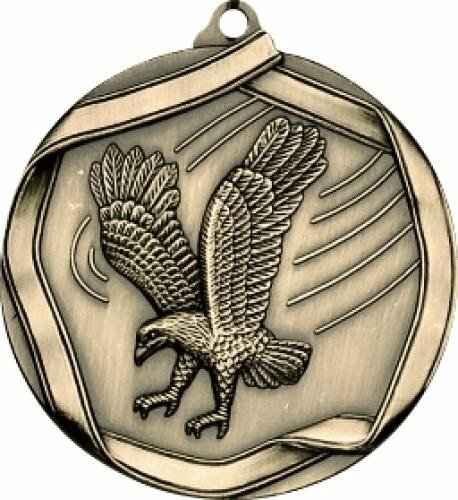 The Eagle Insert medallion has a 1 x 2 inch rectangular area on the back of the medal that can hold up to 4 lines of engraving with 20 characters per line. The Ribbon Eagle Medal has a Eagle design encircled with a ribbon. 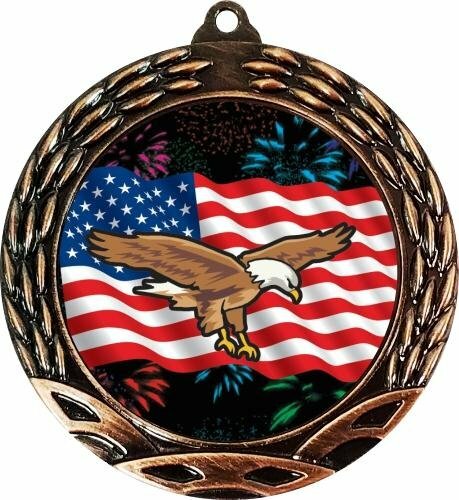 These Eagle medals look great with your choice of a either a 7/8 inch or 1.5 inch wide neck ribbon. The award medals are available in antique gold, silver and bronze finish. The back of these Eagle medallions holds a rectangular engraved plate that can hold up to 4 lines of engraving with 24 characters per line. The Wreath Eagle Medal has a beautifully detailed wreath edge with Eagle icons nestled inside. This Eagle Medallion is available in antique gold, silver and bronze. 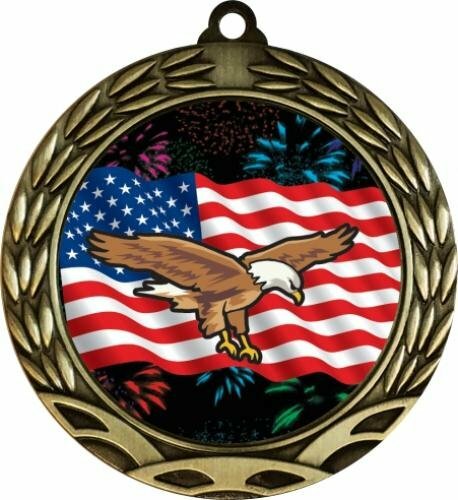 These Eagle medals look great with your choice of a either a 7/8 inch or 1.5 inch wide neck ribbon. 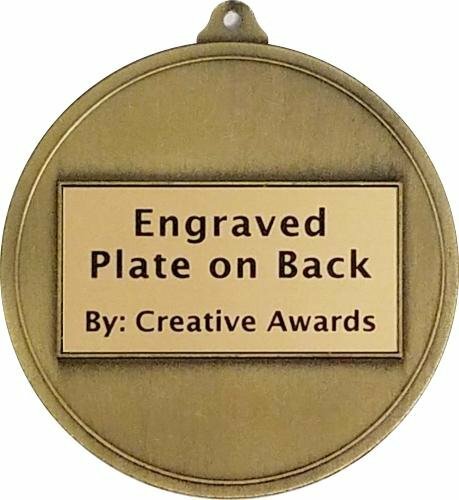 The back of these Eagle medallions have a 1.5 inch diameter space for an engraved plate that can hold up to 5 lines of engraving with 10 to 15 characters per line.